If I asked you to mention a chicken restaurant, I'm pretty confident that the first/popular response would be Nandos. For a long time Nandos has been the place to go when co-workers, families, friends and couples have wanted an affordable chicken meal; and it's easy to do so since as of 2015 there are over 300 branches in the UK alone. However there has been a rise in chicken restaurants around London.....I'm not surprised; the burger market is over saturated. 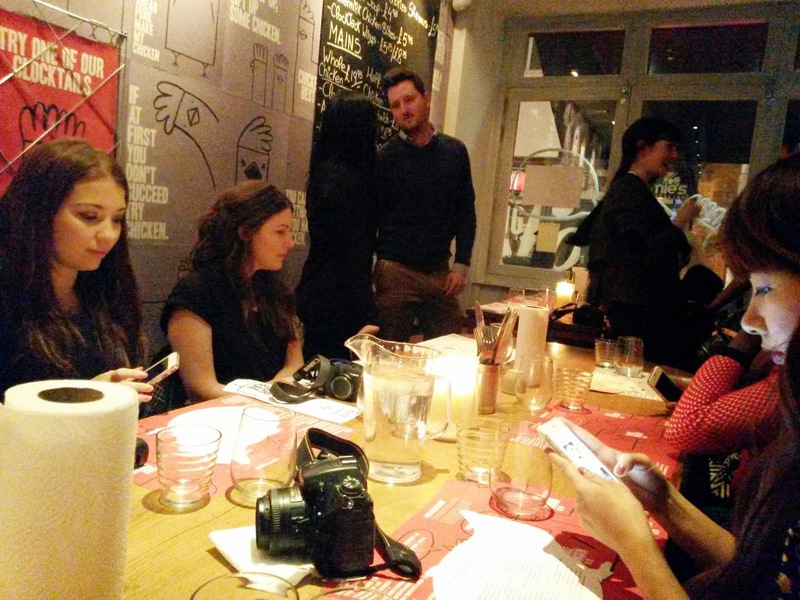 Just a stone throw away from the bustle of Piccadilly is Clockjack, chicken restaurant and venue for the first #ZomatoMeetup of 2015. 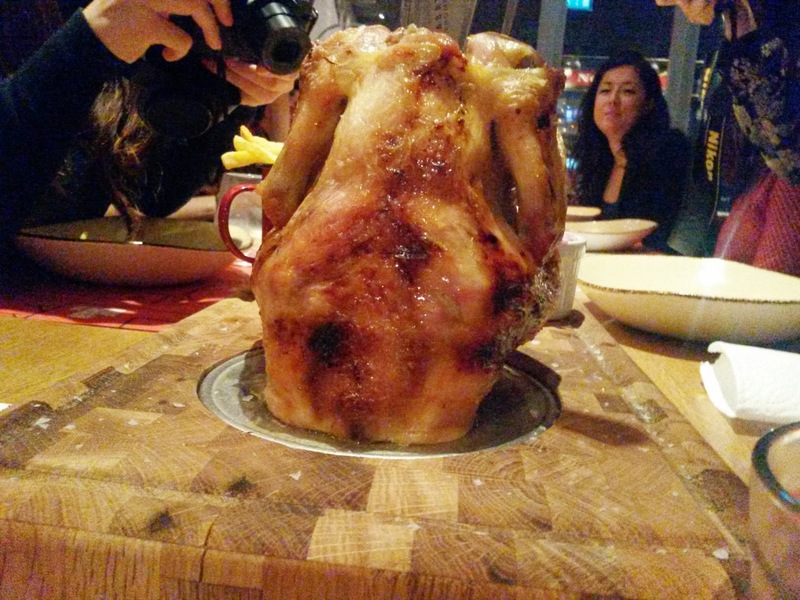 As a girl who indulges in her consumption of poultry I was interested in trying Clockjack's menu. 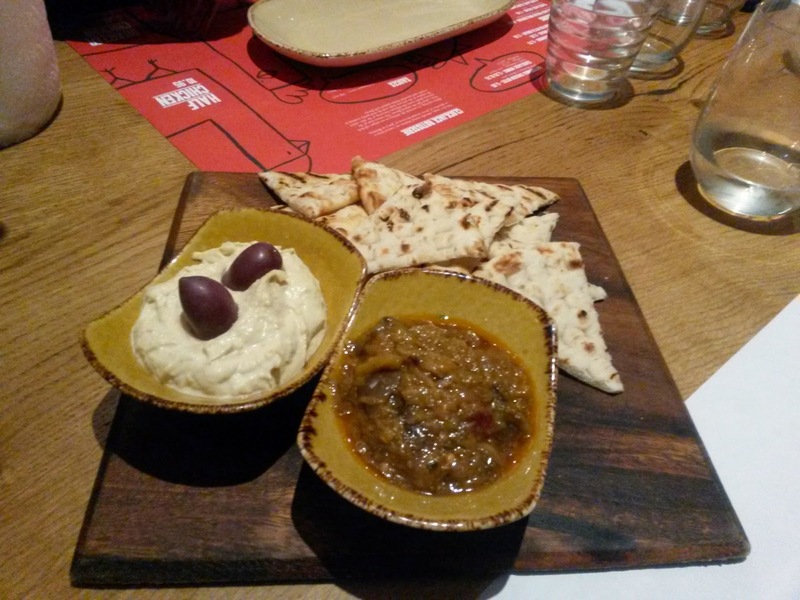 The chow down started with toasted pitta bread accompanied with baba ghanoush and hummus for appetisers. I don't normally have baba ghanoush and eat hummus on occasion however I found that they were well made and wasn't too heavy; leaving me plenty of room for the next course. 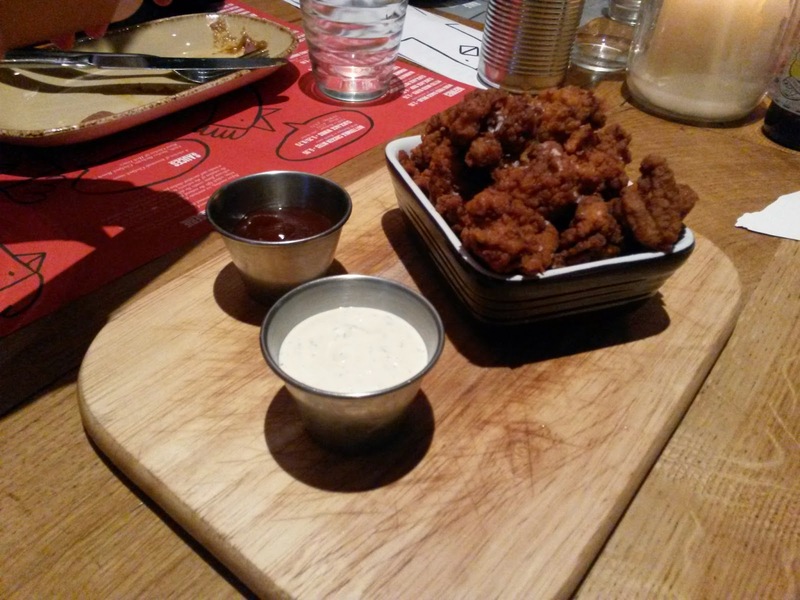 We moved to starters, which consisted of Clockjack wings (chilli and barbeque) and chicken bites with barbeque and ranch sauces. 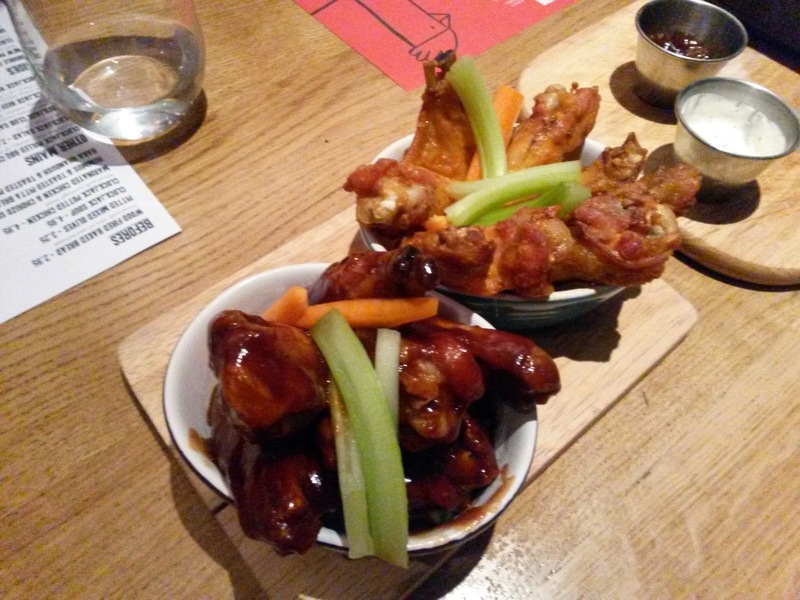 It was a close call but I think I preferred the chilli wings over the barbeque wings...but only just because they both tasted nice; it wasn't over cooked. 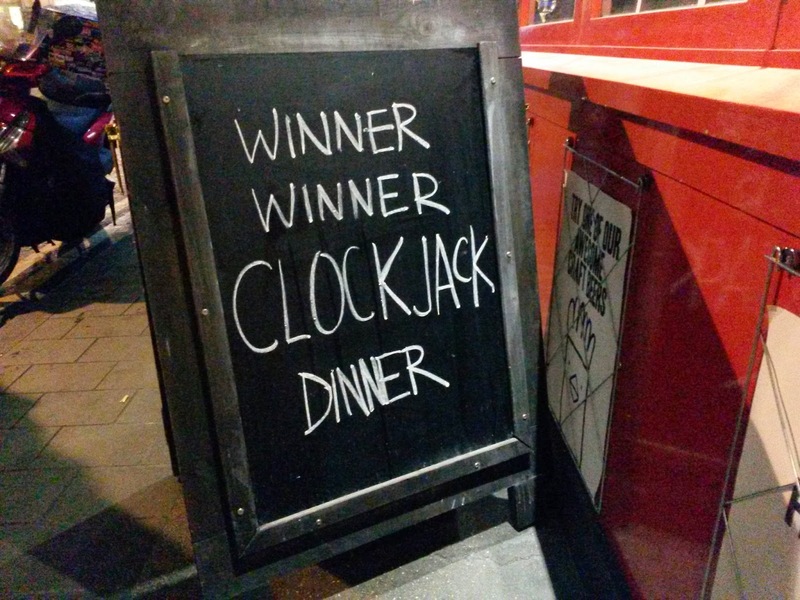 Clockjack serve London Craft Beers; that is, beers made and sourced in London. 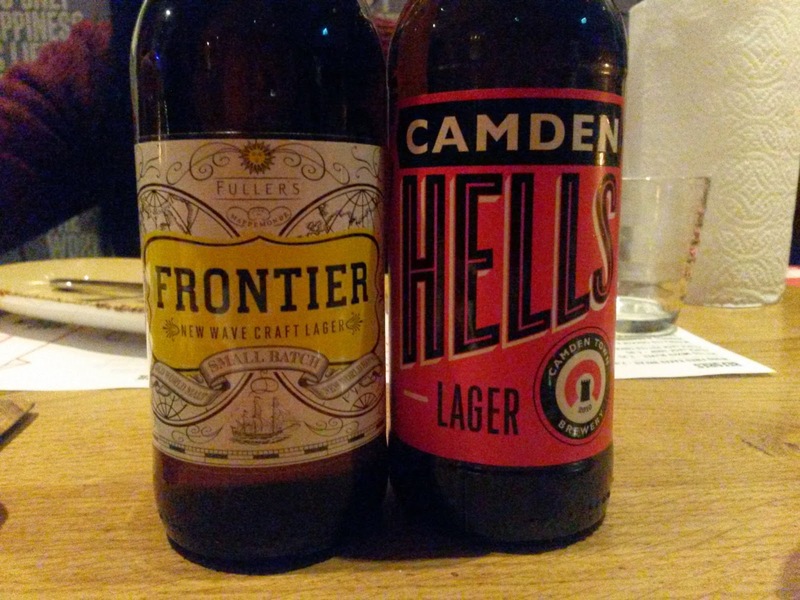 I was keen to try the London Fields Shoreditch Triangle as they were East based; however my preferred beers were the Camden Hells Lager and Vru (an Estonian beer,). 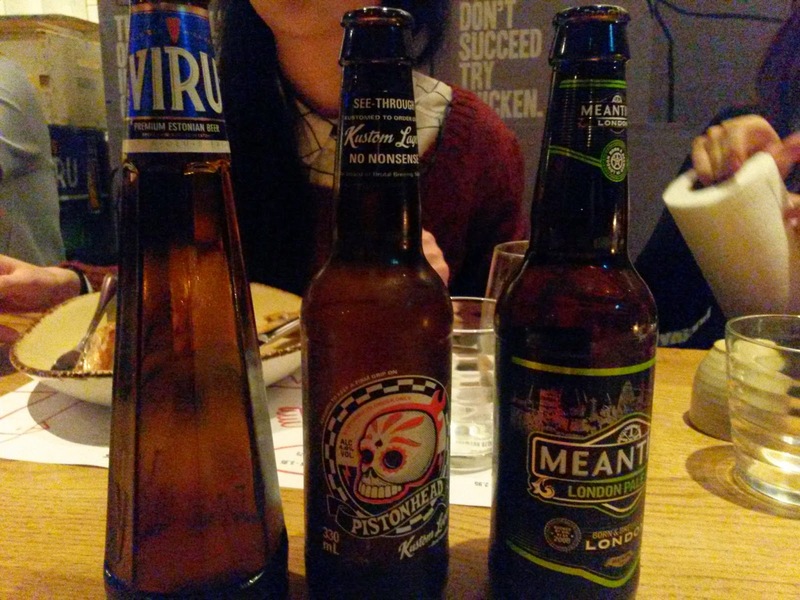 I'm not beer drinker and those two were the most likeable by my taste buds! 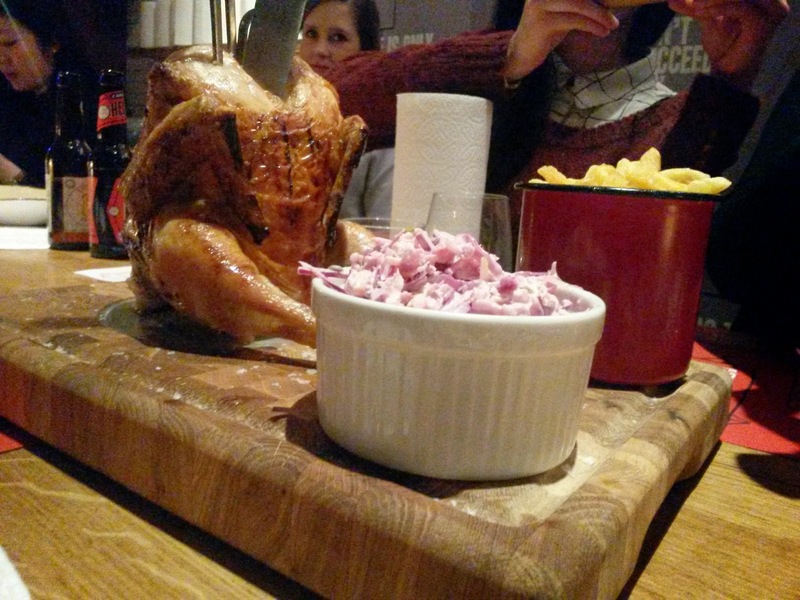 The main meal was whole rotisserie chicken to be shared amongst 4 people. 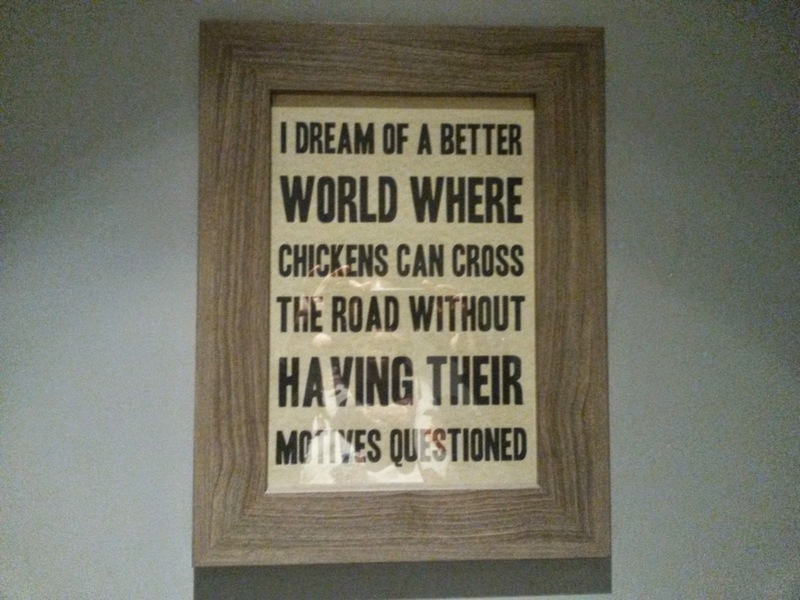 Their chicken is free range and currently sourced from France; however they are making plans to source their poultry from the UK in the near future. The chicken is marinated in a soft herb brine before being roasted. Clockjack is the only restaurant that has a vertical rotisseries in Europe - another interesting fact learnt. 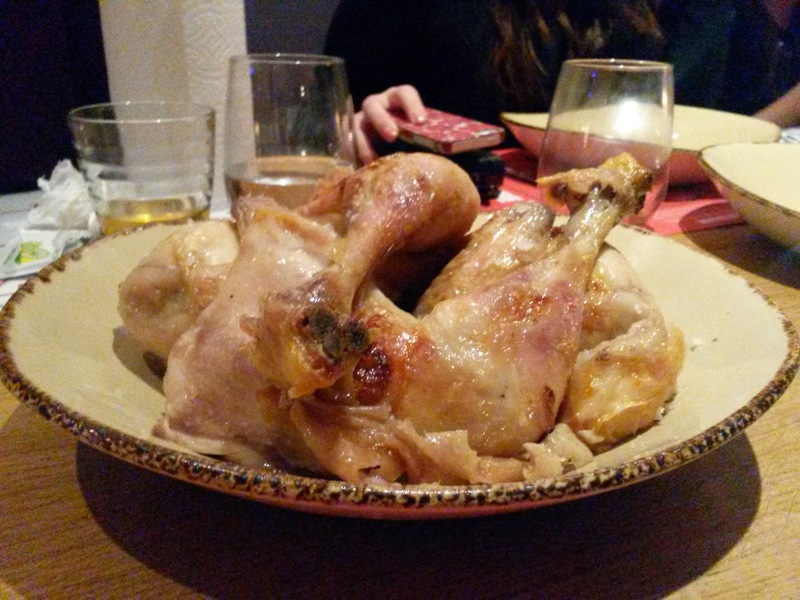 You can definitely tell you are eating quality chicken; it was well cooked - succulent with a crispy skin. I had a breast/wing portion; sometimes breast can be overcooked and therefore dry, however I had no such complaint at Clockjack. a gravy came with the chicken. It was a nice flavour however it was thin in comparison to what Brits may typically have with a their chicken roast. I suppose with high quality chicken you wouldn't want any condiments to hide or impair its flavour. 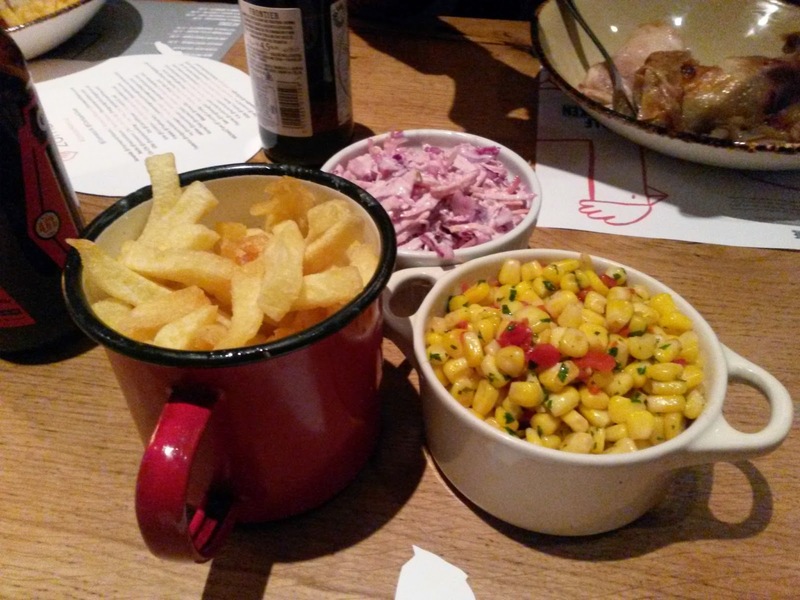 We had fries (which I couldn't finish due to the abundance of food), Clockjack coleslaw, Jim Beam sweetcorn and southern style beans (not pictured) to eat with our chicken. I highly recommend the coleslaw and beans. 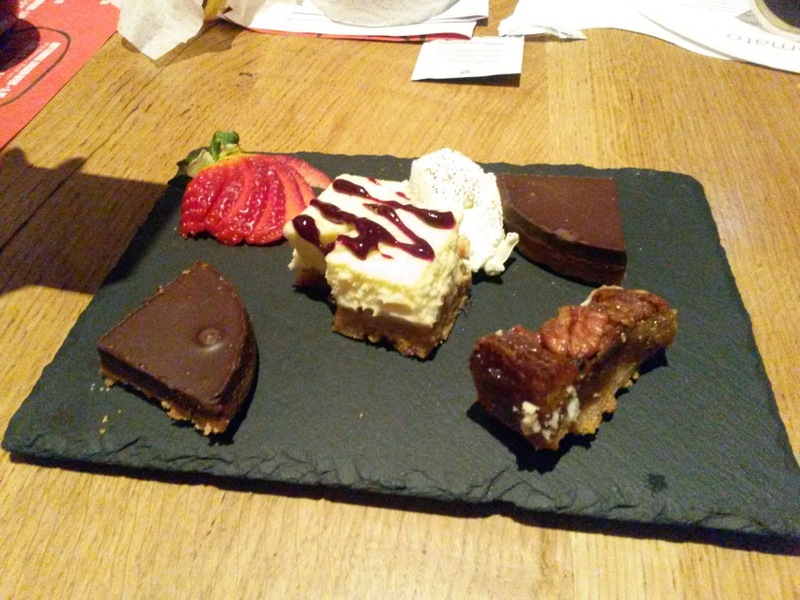 Clockjack has been open for around 2 years however there has been significant changes in the last 10 months due to new management. 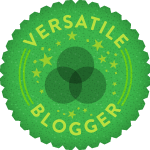 Their efforts have not been in vain. These days I don't venture into Central London often. However I do hope to eat at Clockjack in the future so maybe a new branch could open in East London......a girl can hope!